Microsoft .NET is a set of technologies created and designed by Microsoft to build a variety of applications which gives another way to deal with software development. Your search for .Net developers ends here with Revocode™, one of the premier .Net Development Company in world. 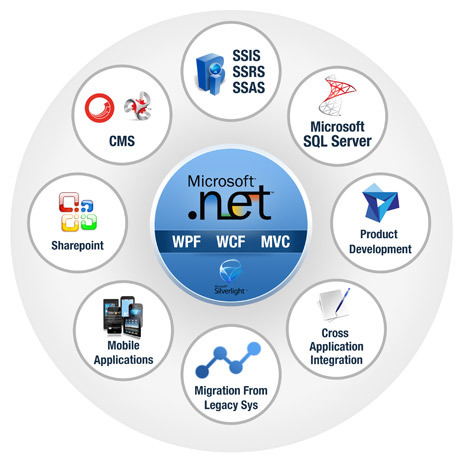 We create .Net solutions for Web Applications, Window Applications; Web Services and so on for our clients and additionally for business marketplace. From our modern techniques and fine exposure, you will get productivity and profit from your business. Our Dot Net development based on customized solutions which will enable you to have better performance from your software. We always take care of customer satisfaction, fast delivery and security of project.